There is an element of Sisyphus in Rep. Rob Bishop. The mythical Greek character, who endlessly pushed a rock up a hill only to see gravity push it back down each time, could appreciate Bishop’s persistence. In simplest terms, Bishop wants the federal government generally and Congress specifically to stop trying to do too much. Let state and local governments take the lead on the social safety net, he says, and they’ll do it better and for less money. Whatever the merits of that belief are, Bishop has gotten virtually nowhere with it in his 16 years in Congress. Most of his colleagues went to Congress to try to solve problems Bishop thinks are best solved by states. The rock keeps rolling back down the hill. But his philosophy hasn’t stopped him from acting like other members of Congress. And in today’s congressional environment, that means taking in a steady stream of campaign funding from outside his northern Utah district. Bishop, from his perch as chairman of the House Natural Resources Committee, has been raking in tens of thousands in political donations from the oil and gas industry for years. The congressman of course insists the donations do not influence him, but he can’t deny two things: His actions in office tend to benefit those industries — particularly those who operate on public lands — and he has never stopped taking their money. It is those facts that helped draw Bishop’s two challengers into the race. The Democrat, Lee Castillo, a mental health professional, has run a low-key, minimally funded campaign, recognition that a Democrat hasn’t won northern Utah’s congressional seat since Gunn McKay retired 38 years ago. 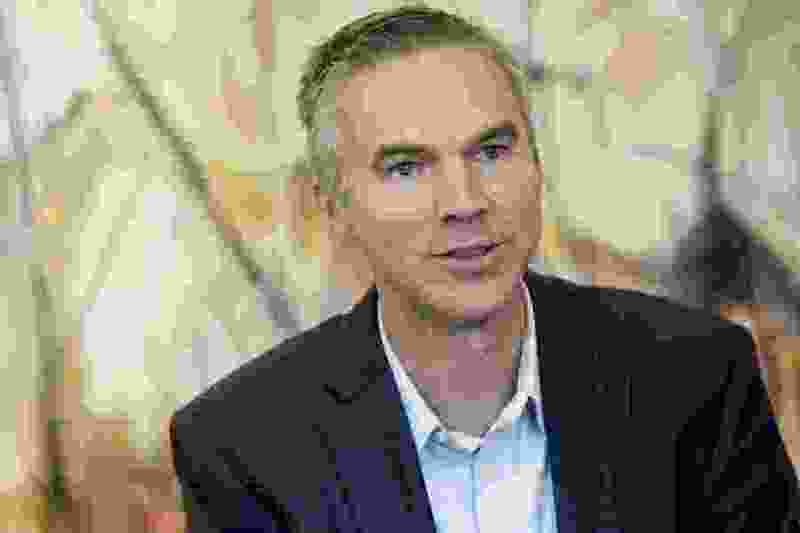 The other challenger, Eric Eliason, an entrepreneur and business professor at Utah State University, has mounted a credible campaign through the United Utah Party. With the advantage of being able to self fund his effort, Eliason is trying hard for a middle path. He sounds like a Democrat when he talks about public lands and immigration, and he sounds like a Republican when he talks about market solutions and free trade. Most of all, Eliason’s run is an attempt to break the polarized D.C. atmosphere that has stopped Congress from tackling its most serious challenges. At the heart of that polarization, he says, is the money-driven culture that keeps both sides from finding solutions for fear of losing backers. He is right. Bishop is almost finished pushing the rock. He wants one more term to complete his six years as Natural Resources chairman, but he may not get that even if he wins re-election. If the Democrats win control of the House, Bishop will go back to being in the minority party, something he has faced in only two of his eight terms. Polls show Bishop appears headed to re-election, but if northern Utah voters really want to chart a different course in Washington, they may want to pass this time on the guy whose change philosophy has never taken hold. They should take a chance on Eliason, who gets our endorsement in the 1st District. If we’re looking for middle ground, it’s good to start in the middle.